Divorce isn’t the only reason why a marriage breaks up . It could be due to death. And it’s reasonable that people can find it difficult to gee themselves up for remarriage. Certainly, many people who marry again go for a smaller affair than the original. A huge advantage about a second wedding is that it can be much more fun than the first! Think about it. This time there won’t be the stress of family pressure. You can make your own decisions freely. This marriage is exclusively about the two of you. You are mature, consenting adults – maybe with your own children and homes. Your ceremony is all about your commitment to each other (although sharing the celebrations with others is very much a part of it too). The good news is, then, that you don’t have to follow other people’s rules. You can do what you want for remarriage. That means that clothing, guests, venue, celebrant, reception are all up to you. There is no obligation to wear – or avoid – any particular clothing. If a second-time bride wants to wear white, why shouldn’t she? (Even if she wore it the first time around.) A full-length gown is lovely, but why not a shorter dress in a different colour or colours? Formal or informal? It’s down to you. First time around, you had to make compromises as to who you invited. Now you can have a huge affair or fly off somewhere with just a couple of friends. You might have a small reception for closest family and friends. There is no need to break the bank, if you do not want to. 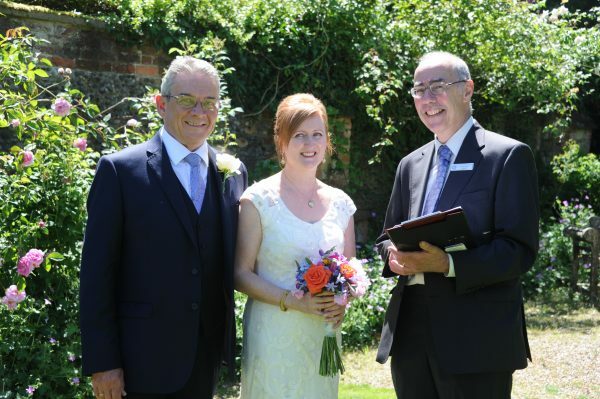 If you want a creative, personalised ceremony, then have a chat to a Civil Celebrant. You will get good ideas and will be able to put together a ceremony that reflects your personality and will be really special. Look at the information at https://vowsthatwow.co.uk/civil-weddings/. Depending on your religion’s take on remarriage, the religious option may be for you; alternatively, you may want only a quiet (if uninspiring) register office wedding. Many people these days choose a hotel or restaurant, but there’s nothing to stop you using a back garden, museum, hot-air balloon or wherever your imagination takes you. (Remember to get permission first!) 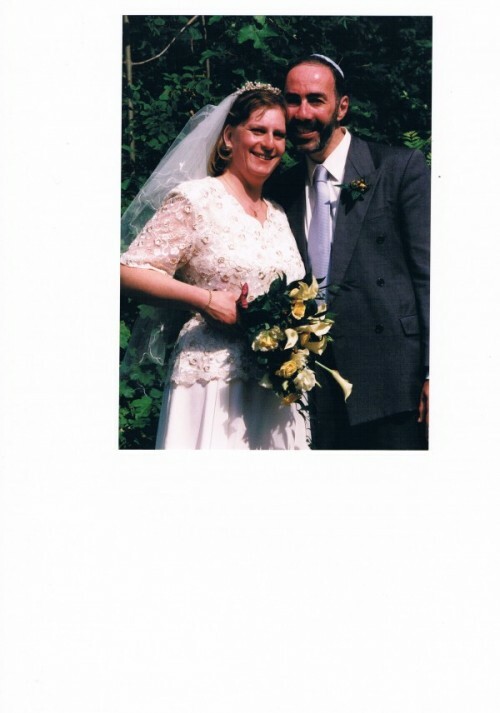 Your celebrant can explain how it all works. It can be a casual affair or as formal as you choose. But of course, whatever your options, your wedding will still need to be legally registereed. Again, the scale and budget of the affair will dictate what sort of reception you will choose. You might like to read my comments on receptions in a past blog: http://wp.me/p5qOOT-w7 . You may organise a wedding list, but you may – especially if you are combining two homes – already have virtually everything you need. There’s nothing to stop you inviting guests to contribute money to a charity of your choice. I hope these suggestions will be useful to you – however many marriages you have already experienced! You will learn from any past mistakes and enjoy precisely the wedding that you desire. Don’t forget to ask your celebrant for help or advice.